A worthy successor to Apple’s original WIRED aluminum keyboard. If you’re looking to replace a (now discontinued) wired Apple aluminum keyboard, this is the one you want… The Matias Wired Aluminum Keyboard offers everything the original had, plus a little bit more. 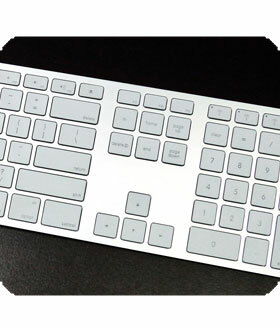 A low-cost substitute for Apple’s WIRED keyboard. Yes, it’s plastic but it’s nice plastic, and it does everything the aluminum model does, just at a lower cost. 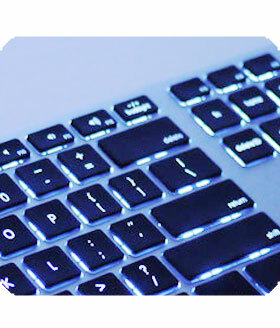 Ultra slim tenkeyless keyboard for Mac / PC. A total bargain for a stylish high-quality aluminum tenkeyless keyboard — at about half the cost of Apple’s Magic Keyboard. PLUS, it has 2 built-in USB ports for your mouse / flash drives. Available in Silver or Space Gray for Mac, Black for PC. The perfect wired backlit keyboard for your Mac — so perfect, Apple could’ve made it. It’s the keyboard many wanted, but Apple never made — a wired RGB backlit keyboard, in beautiful aluminum (Silver or Space Gray). 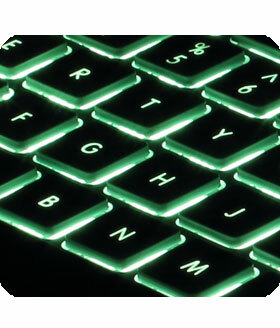 When style meets quality, this is what you get — a backlit PC keyboard with class. This tenkeyless has it all — slim aluminum case, RGB backlighting, and even a mouse port. Tenkeyless never looked better than this... With a beautiful anodized aluminum enclosure, RGB backlighting, and a sleek ultra thin design, it’s a modern tenkeyless keyboard. Available in Space Gray for Mac and Black for PC. Aluminum + Bluetooth + Backlit = Awesome. We’ve taken Apple’s iconic aluminum keyboard design to the next level... Multi-pairing Bluetooth connectivity, a 1‑year battery life AND backlighting — with a separate dedicated rechargeable battery just for the backlight — so the keyboard (and you) can still keep working, even after the backlight battery runs dry. For Mac, PC, iPad, iPhone, iPod touch & Android. 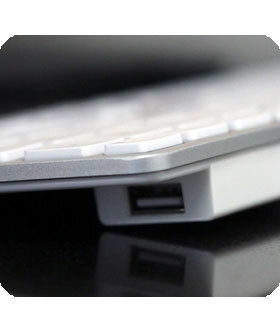 Ultrathin Bluetooth rechargeable keyboard with 1 year battery life. Taking design cues from Apple’s iconic aluminum keyboards, the Matias Wireless Aluminum Keyboard is available in 4 gorgeous colours — Silver, Gold, Space Gray, and Rose Gold. 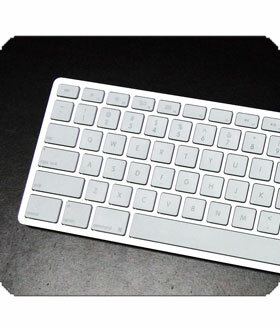 Tenkeyless Bluetooth rechargeable keyboard with 1 year battery life. If Apple made a Tenkeyless keyboard, it would look just like this one — except that this one works with all platforms (Mac, PC, iOS, Android) and can pair up to 3 devices. Available in Silver or Space Gray. The world’s quietest mechanical keyboard — and ERGONOMIC. It’s the product customers have been begging us to do for years. Based on our awarding-winning Quiet Pro keyboard, the Ergo Pro gives you all of the tactile feedback, greater comfort, faster typing speeds, and quiet operation of a Matias mechanical keyboard... in an ERGONOMIC form factor. The world’s quietest mechanical keyboard. All of the enhanced tactile feedback, greater comfort and faster typing speeds of the Tactile Pro... but QUIET. Computer users who crave the feel of Apple and IBM’s high-quality "clicky" keyboards of years past, but don’t miss their noise, will love the all-new Quiet Pro. The world’s quietest mechanical keyboard — only SMALLER. The world’s quietest mechanical keyboard — the best Bluetooth keyboard. Without question, the best Bluetooth keyboard on the market today. Built from our Quiet Click mechanical keyswitches, you get the speed, comfort, and tactile feedback of a mechanical keyboard — without the noise. The compact form factor and wireless interface make it easy to use anywhere, and easy to take anywhere. Computer users who crave the feel of Apple and IBM’s high-quality "clicky" keyboards of years ago, with their premium mechanical keyswitch technology, will love the enhanced tactile feedback, greater comfort and faster typing speeds of the Tactile Pro. “The best keyboard Apple ever made” just got smaller. 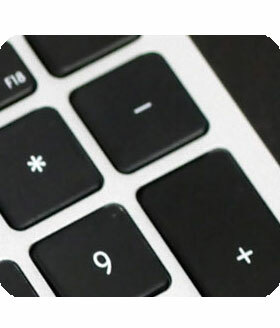 Based on our award-winning Tactile Pro keyboard, the Mini Tactile Pro gives you the amazing feel and "clicky" feedback of Apple and IBM’s high-quality keyboards of years ago, in a size that’s perfect for tight spaces. The world’s most USABLE compact mechanical keyboard. SNEAK PREVIEW — Made at the behest of the keyboard enthusiast community, the Matias 60% keyboard is the first 60% keyboard with a full set of navigation keys. Customize the look of your Matias mechanical keyboard with these replacement keycaps. 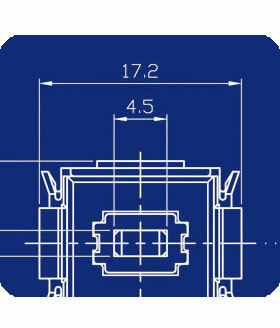 For custom projects, ALPS stabilizers and hooks are also available. The best switches, now available again. The Matias Click Switch is an authentic re-creation of the classic clicky ALPS switch that, at one time, was more popular than any Cherry switch made today. The Matias Quiet Click Switch is a new design that we did to provide the amazing feel of the classic switch, but quiet enough to use in places most mechanical keyboards are too noisy for (offices, around other people, etc.). 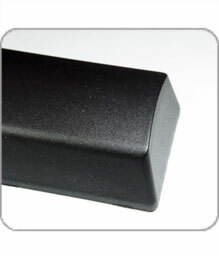 The Matias Quiet Linear Switch is an ultralight design, that offers a smoother, more stable linear feel, not possible with less-sophisticated switch designs by Cherry (and others). 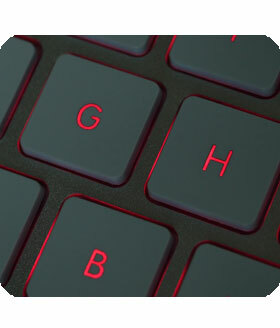 It’s perfect for applications that demand a light touch — performance‑grade gaming keyboards, high-speed stenotype machines, etc. A faster, more comfortable typing experience. The Matias Dvorak Pro Keyboard gives you the super-efficient Dvorak layout, hardwired right into the keyboard. It’s switchable to QWERTY, and has a responsive, tactile feel. 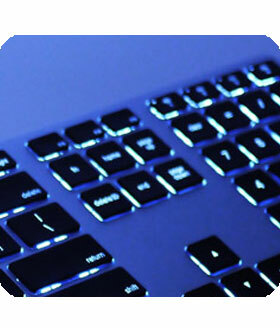 The revolutionary Half Keyboard allows one-handed touch-typing using your existing skills. 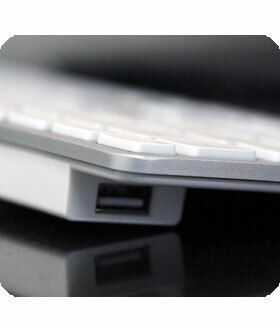 Ultra-compact design with full-keyboard functionality, for your Mac or Windows PC. 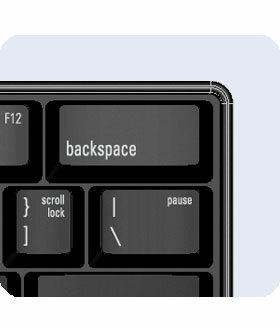 A full keyboard with two embedded Half Keyboards lets you type with one hand or two, for the ultimate flexibility. Also features high-quality mechanical key switches for maximum comfort and speed, and a built-in 2-port USB hub. The Matias iFold portable notebook stand raises your laptop to eye level, giving you desktop comfort, without sacrificing laptop convenience. Use with an external keyboard & mouse to alleviate neck and wrist pain. The iRizer’s sleek, interlocking design adjusts to 4 different heights – helping to prevent neck and wrist pain by raising your laptop’s keyboard and screen to a more comfortable angle. Perfect for home, office, or travel. Understated and elegant, the iRizer for iPad has everything you need in an iPad stand — rock solid stability, a wide range of viewing angles, and ultra-slim portability. Like an iRizer for your iPhone, the pocket-sized MiniRizer lifts and tilts your favorite gadgets – making it much more comfortable for you to watch videos, or keep an eye on things. The highest-quality, most reliable belt clip system available to carry your personal electronics. Ideal for use with most Matias Armor cases. For more information on Matias products that are no longer available, please visit this page.